Widely regarded as the greatest ever writer of the English language, William Shakespeare wrote 38 plays, two long poems, 154 sonnets and other short poems. Often called the Bard of Avon, Shakespeare was not only a great writer, but he was also an astute businessman and, unlike many other famous poets, he made a relative fortune in his time from productions of his plays and his own acting appearances. Interestingly, though, not all the words of Shakespeare are his own. As was the accepted practice at the time, Shakespeare did collaborate with other writers on some of his works and he used other writers in some of his most famous plays. It is thought, for example, that many of the witch’s scenes in Hamlet were not actually written by William Shakespeare himself. In fact, some people even claim that Shakespeare did not write any of his own works. Shakespeare was born and brought up in Stratford-upon-Avon, England. He married Anne Hathaway, who was heavily pregnant at the time, at the age of 18 and he had three children Susanna, Hamnet and Judith. He began his career as an actor, writer and he also part-owned a playing company called the Lord Chamberlains Men. He wrote most of his plays and sonnets between the years of 1589 and 1613 and it is believed that he retired, aged 49, in 1613 and he died three years later. His work has been read, studied, re-interpreted for hundreds of years and, at one stage, the practice of adding happy endings to his tragedies was even popular. 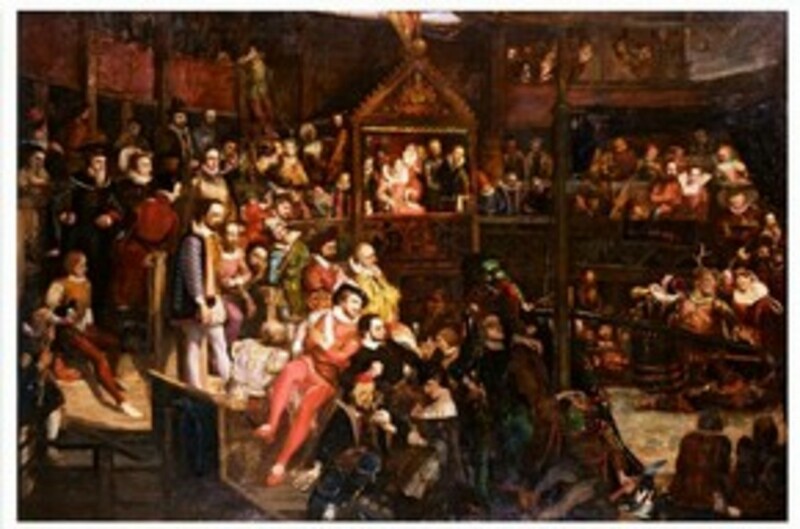 Today, Shakespeare is commonly studied by students of the English Language and his plays are often re-interpreted and portrayed in modern settings. The works of William Shakespeare are thought by many to be impenetrable, highbrow pieces of classical literature to be studied and revered but, in his day, William Shakespeare had little interest in his writing being saved for posterity. His works were for the day, the blockbuster stage productions of his time, if you like. He would have not even imagined, or cared about, the impact that his work would still be having in the world, hundreds of years on from his death. 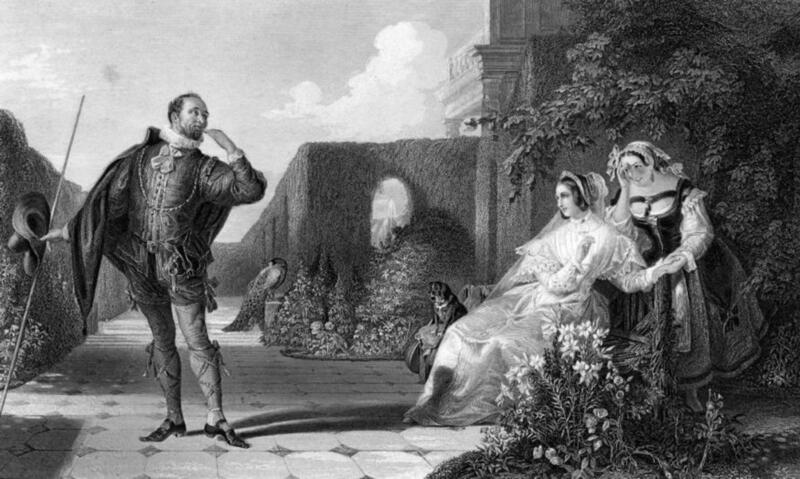 Few facts are actually known about Shakespeare’s private life, he even disappears completely from the historical records for some years of his life, but here some interesting facts about Shakespeare, which we think we know, about William Shakespeare. 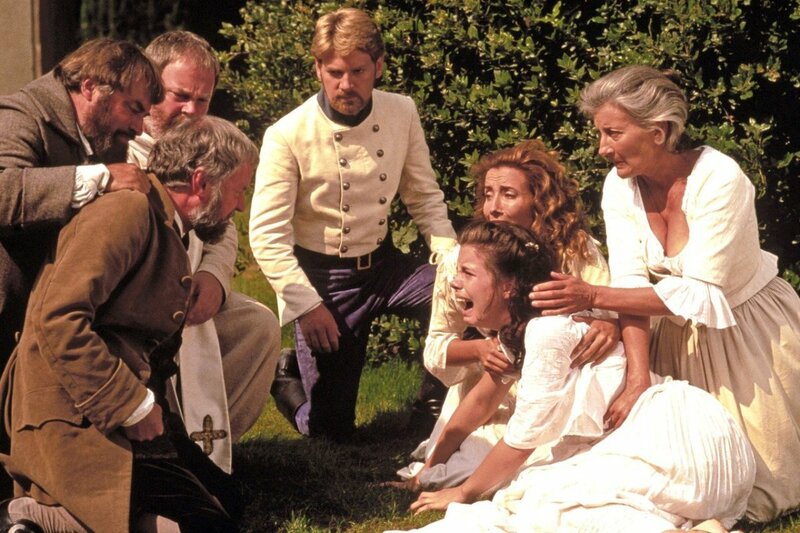 No one knows for sure, but there is every chance that both Shakespeare’s parents and even his children were illiterate. His parents, John and Mary, had probably been illiterate because that would not have been usual for people of their social standing in the Elizabethan era and it is a known fact about William Shakespeare that his father always signed his name with a mark, rather than a signature. Shakespeare himself attended a grammar school in Stratford where he learned to read and write and he also learned Latin. Despite his own education, though it is thought that his wife and his three children remained illiterate. A Shakespeare fact that we can’t be sure of is how to spell his name. It’s no surprise that we probably spell Shakespeare’s name incorrectly though, because so did he. 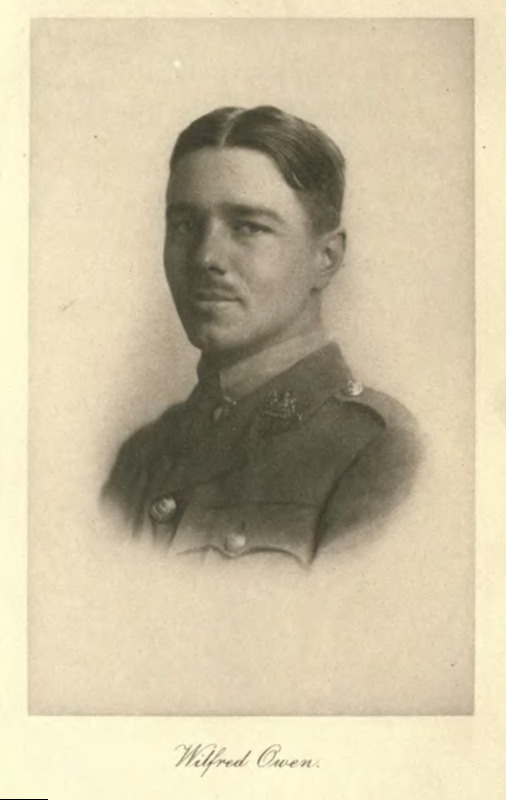 In his lifetime, the poet singed his name in many different ways, including ‘Shappere’, ‘Shaxberd.’ And abbreviations like ‘Willm Shakspere’ and ‘Willm Shakp’. Whatever the correct spelling, his name is likely to have come for the old English words ‘schakken’, to brandish, and ‘speer’, a spear. 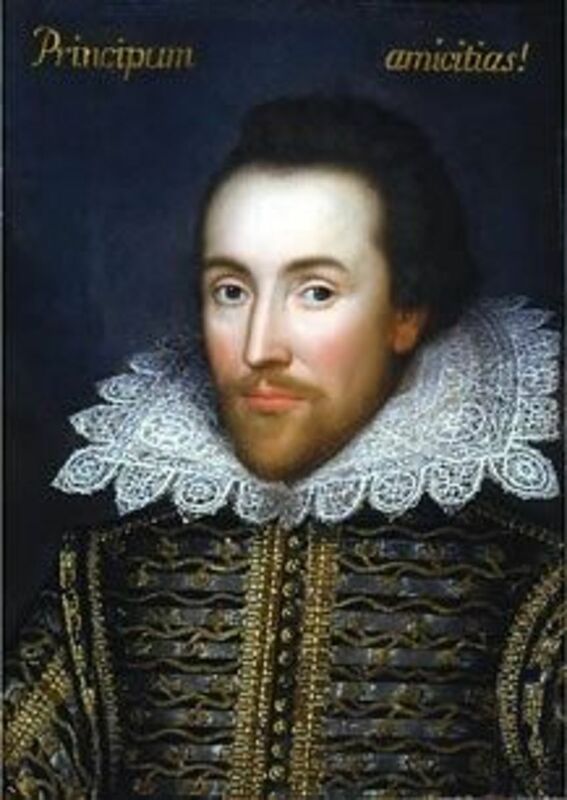 Although he most often referred to as an Elizabethan playwright, most of Shakespeare’s most popular plays were written after the death Queen Elizabeth and in the reign of King James. He would, therefore, be more accurately described as a Jacobean writer. 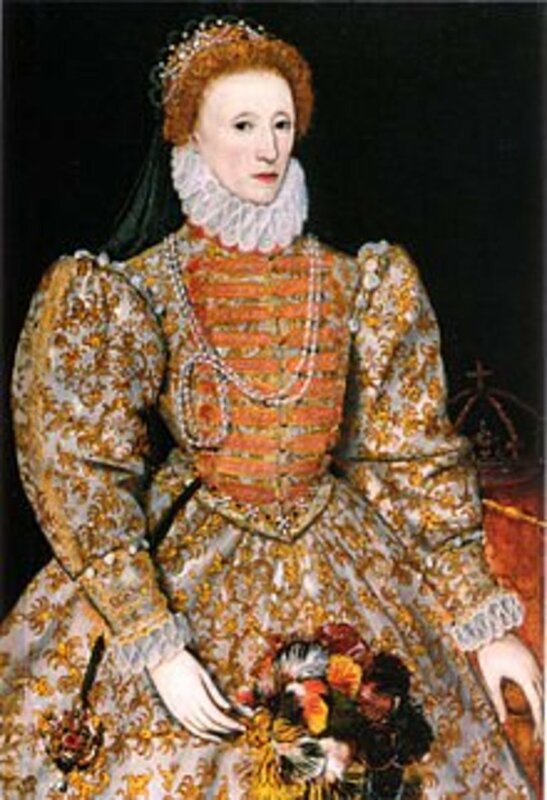 Some people find it difficult to believe that a simple commoner that had no college education could have written such beautiful English and apparently had such an in-depth understanding of history, foreign affairs and also had insider knowledge of the goings on of high society and the Royal Court. 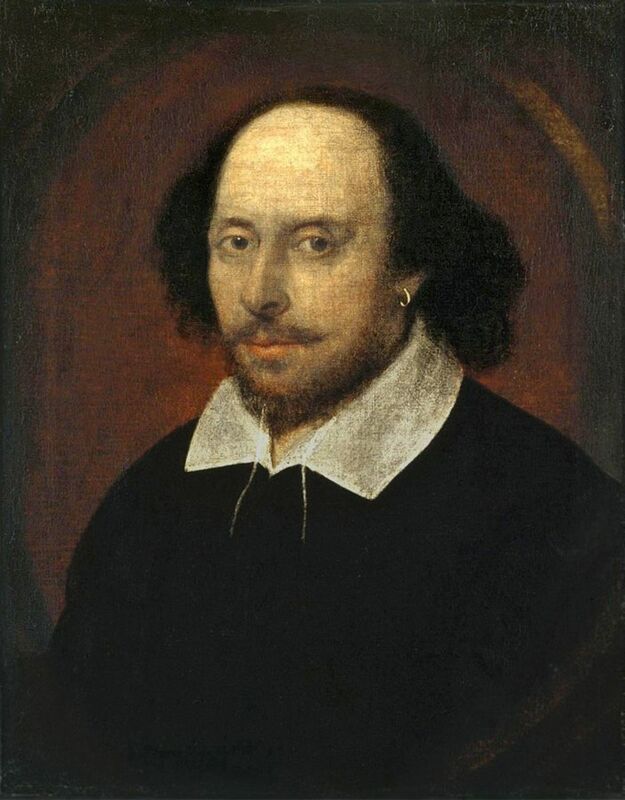 Some people believe it to be a fact about Shakespeare that his name was used only to hide the true identity of the real author, or authors of the works. Names that have been put forward as the likely culprits in this dastardly subterfuge include Edward De Vere, Francis Bacon, Mary Sidney Herbert and Christopher Marlowe. 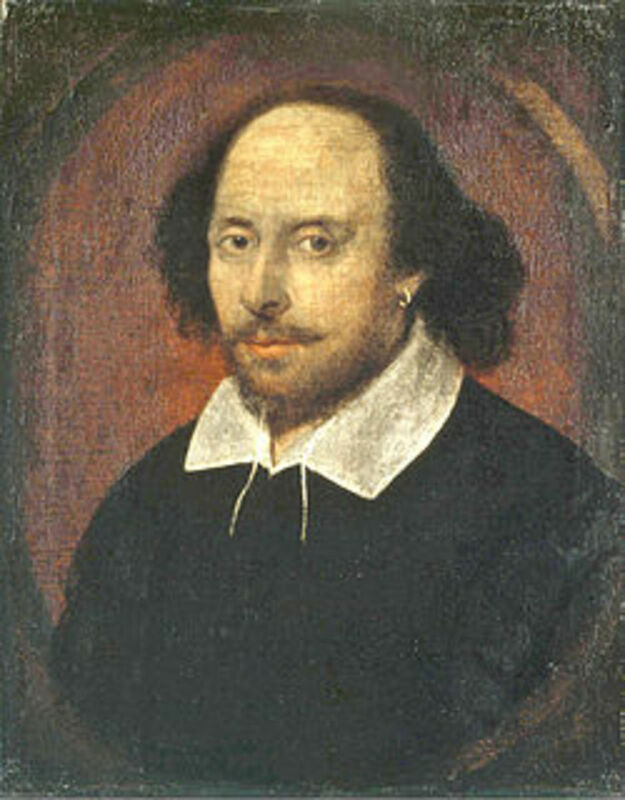 Even after he became famous for his writing, it is a fact about William Shakespeare that he continued to appear on stage, acting in roles in his own plays as well as the plays of other writers. In the course of his lifetime, he appeared on stage before both Queen Elizabeth I and King James I. "To be, or not to be: that is the question". - Hamlet (Act III, Scene I). "This above all: to thine own self be true". - Hamlet (Act I, Scene III). "But, for my own part, it was Greek to me". - Julius Caesar (Act I, Scene II). "Neither a borrower nor a lender be; For loan oft loses both itself and friend, and borrowing dulls the edge of husbandry". - Hamlet (Act I, Scene III). "Friends, Romans, countrymen, lend me your ears; I come to bury Caesar, not to praise him". - Julius Caesar (Act III, Scene II). In 1890, American Eugene Schiffelin decided that it would be a great idea to introduce into America all the species of birds, mentioned in Shakespeare’s plays. The works of Shakespeare include 600 mentions of different species of bird, but there is only one mention of starlings in the play in ‘Henry IV, Part 1.’. None the less, Schiffelin duly released two flocks of starlings in New York’s Central Park and, 100 years or so later, North America has a population of starlings numbering over 200 million. During Shakespeare’s lifetime, it was illegal for women to appear on stage in the theatre so all of the female parts in his plays were originally written for and performed by boys. The text of some of his plays, such as Anthony and Cleopatra and Hamlet actually makes reference to this fact about Shakespeare and it wasn’t until the reformation that women were allowed to appear on the English stage. Even though he was probably illiterate, Shakespeare’s father, John, was upwardly mobile and he enjoyed a varied and interesting career path. In his time, John was a leather goods salesman, a money lender, the mayor of Stratford and, at one point, he was appointed the official ale taster of the local borough, a role which entailed him testing bread and ale for quality. William Shakespeare wrote nearly a tenth of all the most often quoted lines in the English Language. He is the second most quoted writer in the English Language, beaten only by quotes taken from the Bible. The works of Shakespeare, also include the first written examples of words and phrases that we still use today including; ‘eyeball’, lacklustre’, ‘fashionable’ ‘foregone conclusion’ and ‘in a pickle’. 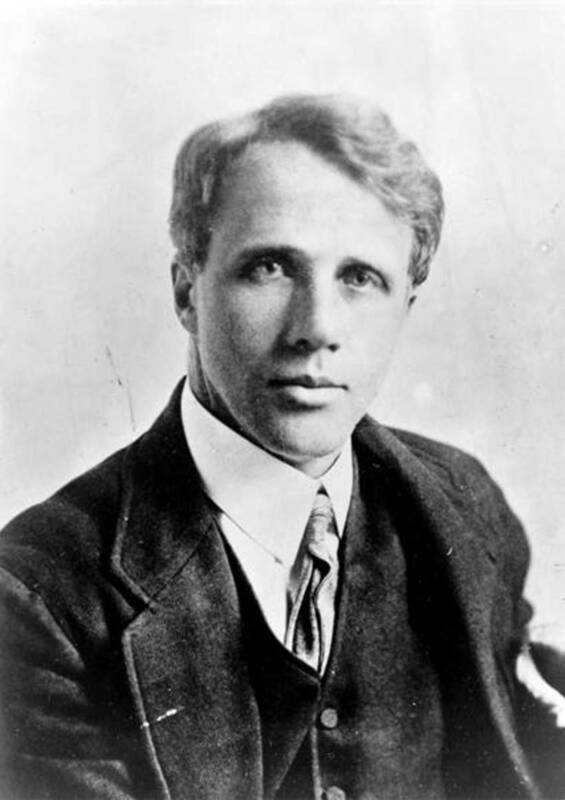 The poet and playwright never published any of his own plays in print. 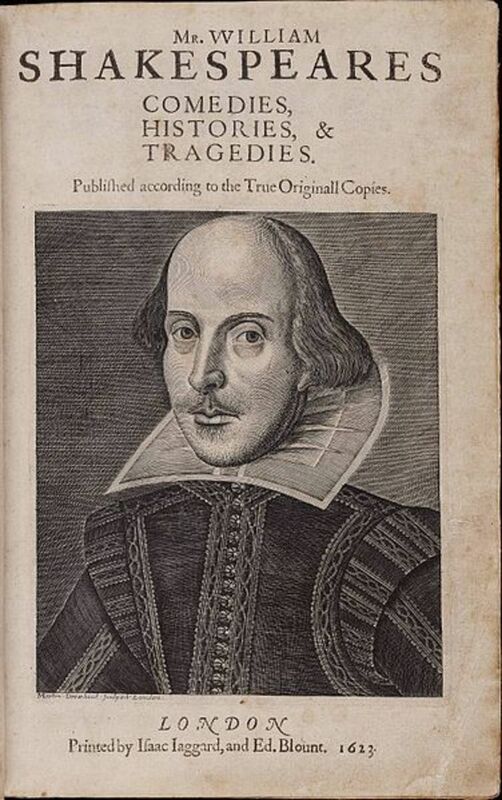 In fact, the only reason that we can still enjoy his works today is that two actors, Henry Condell and John Hemminges, recorded and published 36 of Shakespeare’s plays in an edition called ‘The First Folio’ which was published after Shakespeare’s death. 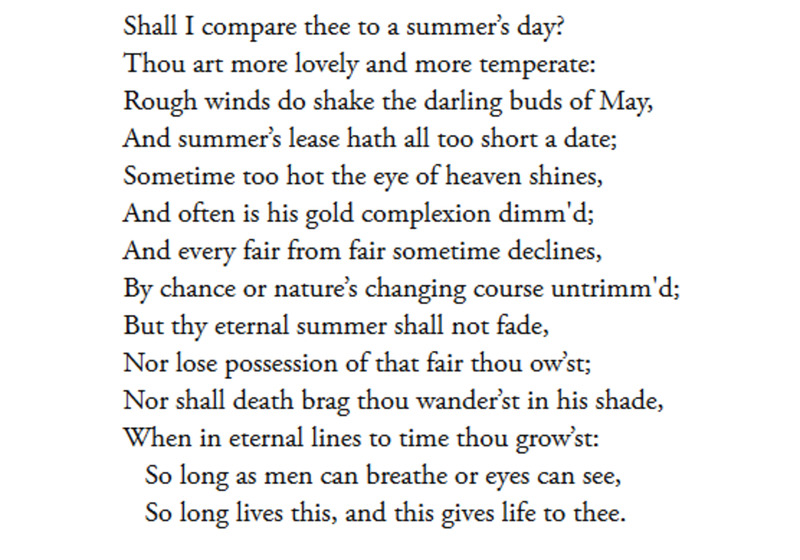 William Shakespeare appears to have gone the Elizabethan equivalent of walkabout between the years of 1585 and 1592. During this period, he disappears from the historical records completely. Historians don’t know the facts of what happened to Shakespeare at this time but speculate that he may have studied law, worked as a school teacher or went travelling around Europe. Another theory is that he went into hiding after being caught poaching a deer from a local estate. Despite his popularity and royal patronage, Shakespeare’s work was far from well received by the literary critics of the time. The first recorded critique of the bard's work was written by a theatre critic, Robert Greene, in 1592 and he said of the man who is now acclaimed as the greatest writer of the English language of all time that he was an ‘upstart crow, beautified with our feathers’. The real fact about William Shakespeare is that, however little we might really know the facts about Shakespeare’s’ personal life, what we do know that his works not only live on in the twenty-first century but his words, phrases and quotes are now cast, forever, in the English Language. That’s something that most writers can only ever dream about. William Shakespeare’s work is only hard to grasp if you try and read it like you would a Stephen King novel; sitting on the beach and only half concentrating. But, when you do make the effort to read and to understand Shakespeare’s work, you begin to realise why he’s still in the bookstores today. Thanks ajwrites57. You're right. No one will ever know for sure but it will probably be debated for many years to come. Artois52 intriguing facts about The Bard. We may never know the truth about his plays' authorship. Funny how people are viewed and honored after death. Thanks for the Hub! Glad you enjoyed the hub gamerjimmy23 and thanks for voting up. Great hub! It was enjoyable to learn fun and interesting things I definitely did not know about William Shakespeare...or is it "Shappere," "Shaxberd," or "Shakspere?" - Voted up! Thanks csmiravite-blogs. I agree, Shakespeare can be pretty heavy going but once you get into the old English language, I found it gets easier. Many thanks RachaelOhalloran. I'm glad you found it as interesting to read as I did to write. Shakespeare's works is something that is still hard for me to fully comprehend up to this time. I try to read some of his works while still in college, but was unable to make heads and tails out of it. My daughter, who is a literary writer, is always a big fan. This article was interesting to read. I didn't know half the stuff you mentioned. I judge a good article like this: I like when I have learned something by the time I get finished reading an article. You delivered! Voted up and shared! A buccaneer? I didn't know that. Well that was certainly interesting. I'm not a big fan of Shakespeare, but this article was fun to read. Really cool. I think this is important stuff here and you did great laying it out. I am quite certain he lived as a buccaneer during the absent years. Many thanks Elizabeth. It was great fun researching it too! This is amazing! Really great compilation of facts, some that I knew, some that were new to me. I really enjoyed this Hub, and a lot of research and work had to have gone into it. Sharing!